Of the many words I hope people use to describe me, there is one I know they would use even if I don’t like it: skeptical. I’m not a believe-first-ask-questions-later person. I’m a, “Think of every question immediately and don’t believe a thing unless you’re totally satisfied with the answers,” person. This doesn’t always vibe well with the yoga community, which is filled with heartfelt believers. 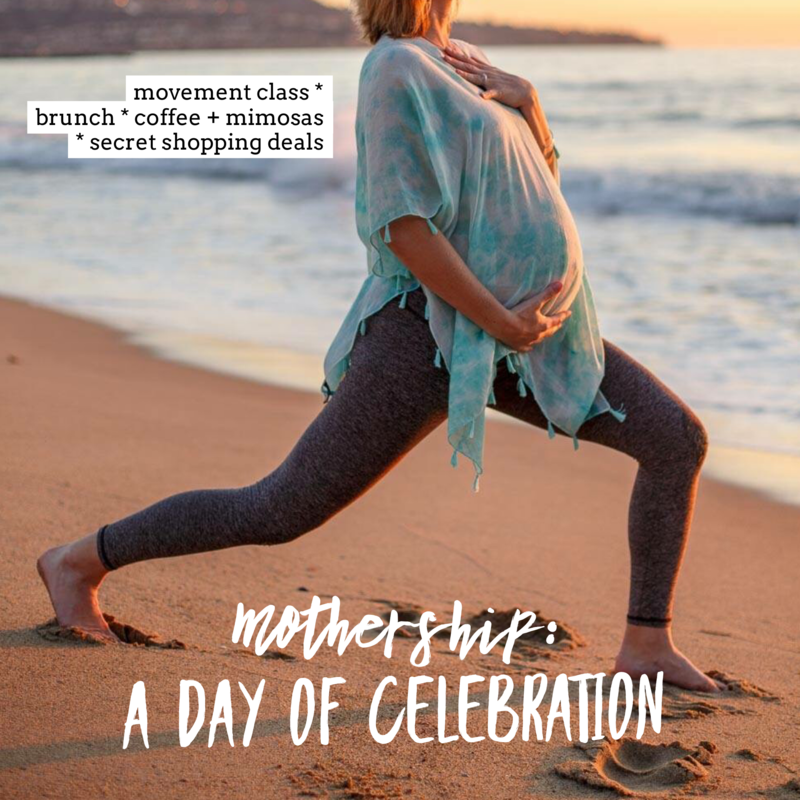 I don’t believe that sound bath was the tipping point in my pregnancy journey. I remain too skeptical for that. But I do believe that night I knew something was different, and I do believe laying there and receiving relaxation was a powerful experience for me and the growing cluster of cells inside me. 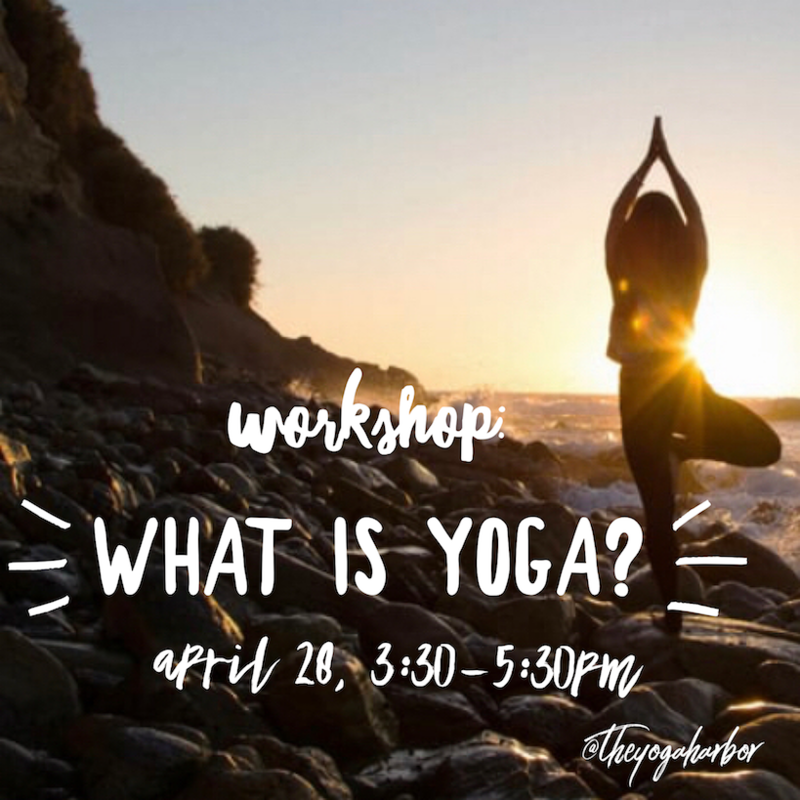 The Yoga Harbor: What word describes you as a yoga teacher? Sharon: Relatable. Unlike many yoga teachers, I don’t have a background in sports or dance. My yoga background is similar to most typical yoga students; I am a former overworked, anxious corporate junky. I can relate to that feeling of being overwhelmed by life: trying to balance your job with your personal life, family and errands, as well as trying to fit in a workout to sustain some sort of balance of a healthy lifestyle. I try to bring an element to my classes that gets you out of your head for an hour and leaves you feeling like everything is a little bit more manageable, because that’s what we need in this crazy instant gratification society. TYH: When do you feel most connected to yourself? Sharon: Every so often, I have these really beautiful quiet moments in my day. They are these moments when the world seems to just move slower. It’s almost as if I’m in a moving meditation. No matter what is happening around me, I feel at peace and centered/aligned. It’s a moment when I feel a true connection to myself and my intuition, and I know that everything is happening as it should. It’s a moment when everything just seems right, wether it appears good or bad at the time. TYH: When do you feel most connected to your students? Sharon: I feel most connected to my students at the end of class. That moment right when they exit savanna, but their minds are still present in the room. There is a collective energy in the room that occurs from the honest effort they put in and experienced with each other throughout the practice. It’s this high vibration that connects all of us within an exchange of gratitude for showing up for ourselves and one another. TYH: Give us the bumper sticker motto of your approach to sound healing … what is it that draws people in? 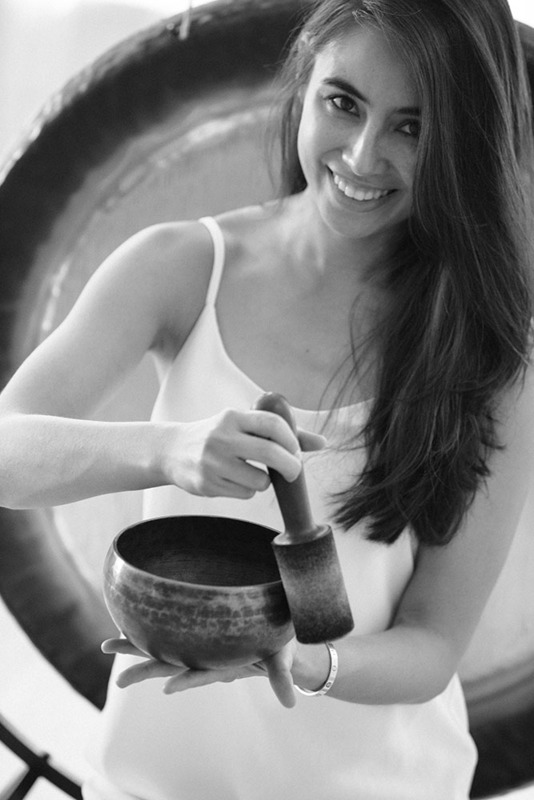 Sharon: Sound Healing is “me time” for the participant. In today’s society we are constantly rushing from one thing to the next, making us more anxious and stressed out than ever. During a sound bath the mind is given the opportunity to relax, since it doesn’t know what to expect next. It brings the participant to a subconscious state where they can release tension. 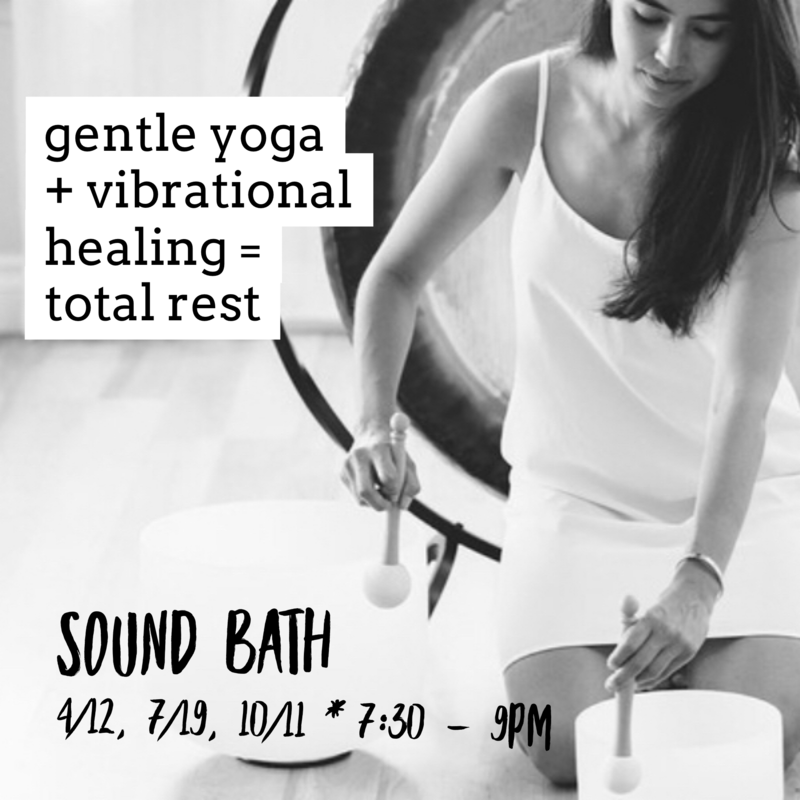 Sound has a profound affect on the body and after a sound bath participants find that they sleep and focus better. That short amount of “me time” provides so many benefits people need in this information age. TYH: What do you hope to add to the yoga conversation through your contributions? Sharon: That yoga is more than just a great workout or stretch for the body. It goes deeper than the superficial. In fact, yoga is a tool we can bring into our every day lives to slow down the chaos around us so we can move through life with more ease. I originally started going to yoga for the workout. Then I realized that during that 1 hour and 15 min class I was able to forget about the stress of my every day life, and yoga became a necessity. Yoga eventually provided me the ability to calm my mind during some of the most trying facets of my job and life. In yoga we put ourselves under self-imposed duress: holding difficult poses where we teach our muscles how to support our bodies or relax into a deep stretch. While we are in these poses, we learn to teach ourselves to use the breath to calm the mind and body by activating our parasympathetic nervous system. We can then bring what we learn on our mats into our daily lives by using the breath to calm the body and mind under taxing situations allowing more peace to enter into our lives. TYH: What sets your soul on fire? Sharon: Observing or giving/receiving kindness. We really need more kindness and understanding in our world (myself included). Imagine if we all did just one kind thing a day. What would happen if we complimented a stranger? Or picked up litter on the side of the road? What would happen if we replaced negative thoughts with kind and loving thoughts? I enjoy being kind to others, but I love watching others be kind to each other even more – it just brings a smile to my face. I’m not saying that kindness can fix everything wrong in the world, but it can certainly help. Black Metal Yoga Workshop: What’s it all about?